In workforce development, one day you’re in and the next day you’re out. 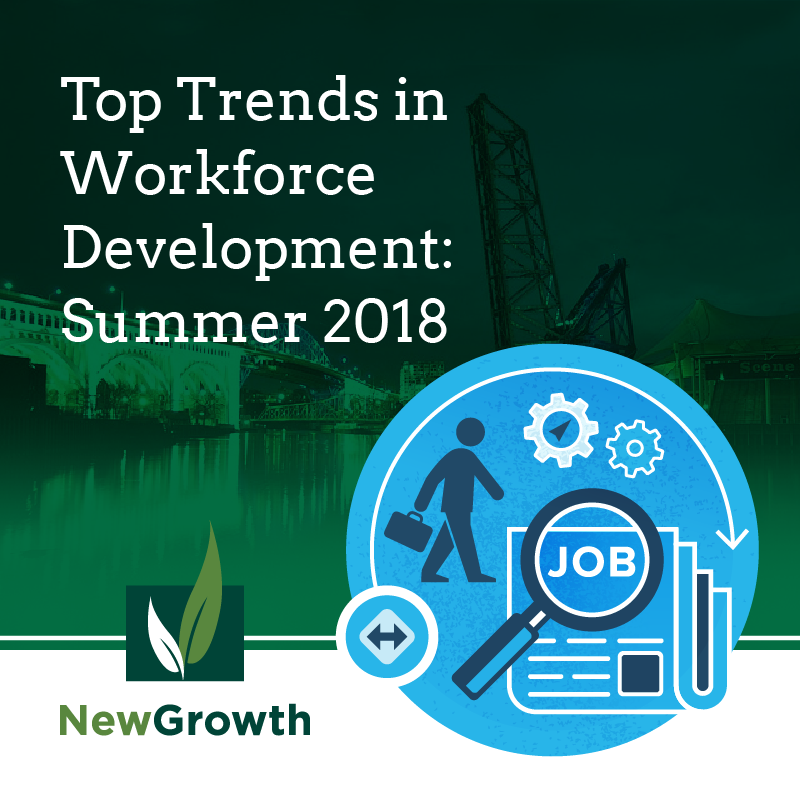 New Growth has worked in over 20 states, which gives us a sneak peak into the hottest trends in workforce development from coast to coast. This summer, apprenticeships, shortened grant timelines, and interstate data sharing are making waves. Apprenticeships, Apprenticeships, Apprenticeships: On July 18, the Department of Labor (DOL) released the long awaited FOA for Scaling Apprenticeship Through Sector-Based Strategies. The grant seeks to support sector-based approaches to expanding efforts to develop and implement apprenticeships on a national scale in industries reliant on H-1B visas, including IT, advanced manufacturing, and healthcare among others. Additionally, DOL also released the Women in Apprenticeship and Nontraditional Occupations (“WANTO”) Technical Assistance Grant. This grant is open to Community Based Organizations who can provide Technical Assistance to employers or unions to encourage employment of women in apprenticeable occupations and nontraditional occupations. Through these programs, DOL is investing over $150 million in apprenticeships, making it the hottest trend in workforce development this summer. Hotter weather shorter hemlines timelines: On the topic of grants, we have noticed that the time from announcement to submission is shorter than what it has been in the past. Some as short as four weeks, as in the case of the WANTO grant mentioned above. This means that grant staging and forecasting is more important than ever. Hiring grant writers can also help expedite the development process to make sure your proposals are ready for submission. So with some thoughtfulness and added capacity, grant funded organizations and institutions can make this trend work for them. Vacation pictures aren’t the only thing worth sharing: We work with collaborations across state lines, and we are starting to notice more states are taking interest in sharing administrative data across state lines. Building on the successes of WICHE and the expertise of ADRF Network, states like Illinois and Ohio are exploring what sharing data with neighboring states who share metros might look like. This work is emerging, but has the potential to reshape how regions think about data. This trend is definitely the one to watch. Want an in depth take on this season’s hottest workforce development trends? New Growth can help! We are experts in data sharing, grant writing, and process facilitation and are available help you decide which trends are a perfect fit for your organization or program.